Before the League of Legends Season 2 finals in Los Angeles, TNW wrote that even non-gamers should tune into the final few games. That was a business argument, stating that competitive gaming has grown to a size large enough that marketers, brands, and those who keep track of media trends have no choice but to pay attention. 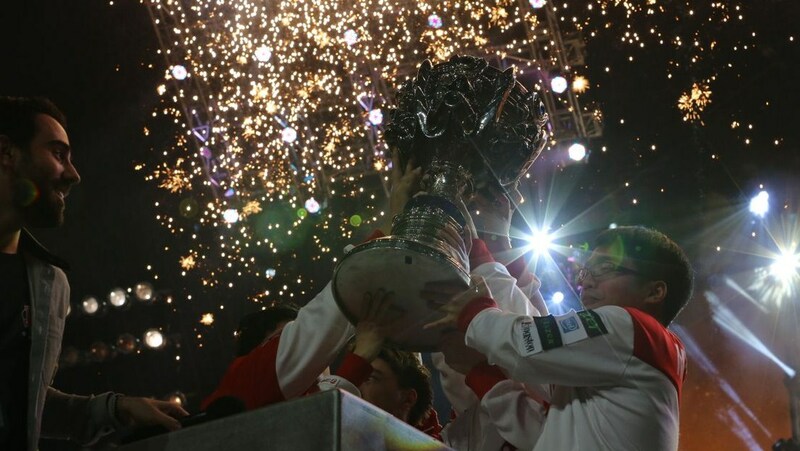 However, people curious about just what ‘esports’ is were hardly the only folks watching the final best of five series between the final two teams, the Taipei Assassins and Azubu Frost. According to GameSpot, at peak there were 1,154,000 concurrent online viewers. That figure does not take in account viewers tuning in on their television. Some 8,282,000 unique viewers watched in total, of which 2,402,225 were tuned in via their television sets in Korea and China. Using a simple ratio analysis, assuming that the percentage of total unique viewers correlates in the same way to concurrent viewers in both online and television environments, we can estimate a total peak of 1,488,660 concurrent viewers. If those figures make your eyes pop, let this one sink in: $1,000,000. That’s the total haul that the Taipei Assassins took down for winning. Second place had to contend with a mere $250,000. The other top 10 teams that took place in the finals took down five and six figure checks as well. League of Legends is now the most played game in the world. 12 million players log in daily. And the game is only growing. There is an interesting dynamic in play, as Starcraft 2, another popular competitive title, softly declines in popularity as League itself explodes. However, Starcraft 2 has an expansion on the way that could see it regain its footing. For now, however, League of Legends is a global hit, the most players, and the biggest checks in its competitive scene. Riot games, it seems, is certainly not feeding.